Earlier, BOLT with Indic Language support was only available through carriers and handset OEMs who preloaded the BOLT browser on supported devices. The company had first introduced Indic Language support in December 2010, at the India Telecom conference. Bitstream has announced that the Indic language version of its BOLT mobile browser is now available as a free download at www.boltbrowser.com. The company claims that the browser will display Indic fonts even if the handset does not natively support Indic language characters, through the use of its Font technology. It claims that the technology enables the browser to bring complex Indic characters to feature phones with low over the air data usage. as well in the Indic language of your choice. 2.Language fonts can be pre-installed via the device OEM or installed over-the-air, for minimal footprint, by the user in 2 simple steps. 3.Entire user interface and menus are available in local language of choice. It prompts the user to install the required Indic font when a website using Indic fonts is opened in BOLT Indic for the first time. 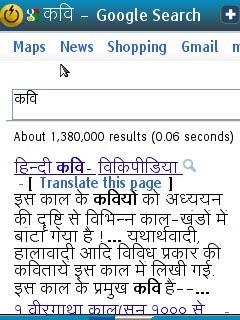 Open any regional or Hindi site, for instance open google.co.in and select Hindi or any language. Now Bolt will show you all language and ask to install. Select what you want to install. When the user changes the default language of BOLT Indic, it automatically installs the related Indic font. Open BOLT Indic on your device and go to Menu > Preferences.In Preferences, scroll down to Install Fonts and select it.In the Install Font screen, select the font you want to install. BOLT Indic features keyboards custom made for the best Indic language experience on your device. Though typing with BOLT Indic in an Indic language supposed to be a complicated one, initially but later you would feel great experience in itself. However, will BOLT Mobile Browser's Indian languages Replace the default one and make a change among overall users? 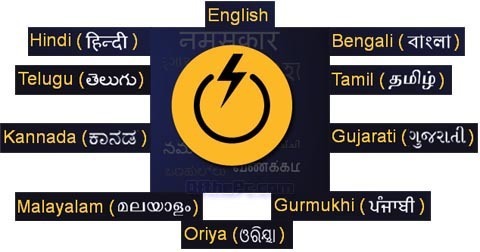 Download -> BOLT Mobile Browser's Indic Languages (Indian Languages) Version.